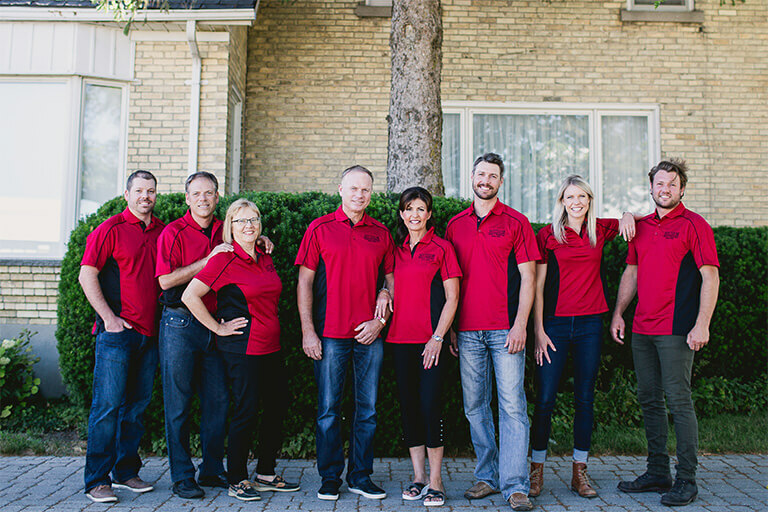 A family-owned turkey farm in Dashwood, Ontario is the place where three generations of the Hayter family have devoted their passion for premium quality. Our devotion to taste and tradition in every aspect of turkey farming and turkey products continues to this day. Read about Our Difference, check out Our Products and try Our Recipes. We “Mother Hen” our Turkeys. At Hayter’s Farm, we ensure the highest level of quality control throughout all stages of production. Thankfully, we are not a turkey “factory.” This makes a big difference when you compare Hayter’s to other turkey brands because we direct the entire process at one place – our farm! To us, it’s an art. This has been a family business for over 70 years. This is all we do! As a small, hands-on operation, we know how important it is for us to maintain the very highest standards of excellence. That’s why you can always rely on our reputation for outstanding taste, freshness, and nutrition. Born free and raised pampered. What’s more, we care about our turkeys. They are the healthiest of birds, free to roam in spacious surroundings. Want to Join our Team? We’d love to hear from you! Please send a resume to info@haytersfarm.com and we can talk turkey.